Therefore | Therefore | Canon Marketing Japan Announces Therefore™ Launch into the Japanese Market! Spread the word! 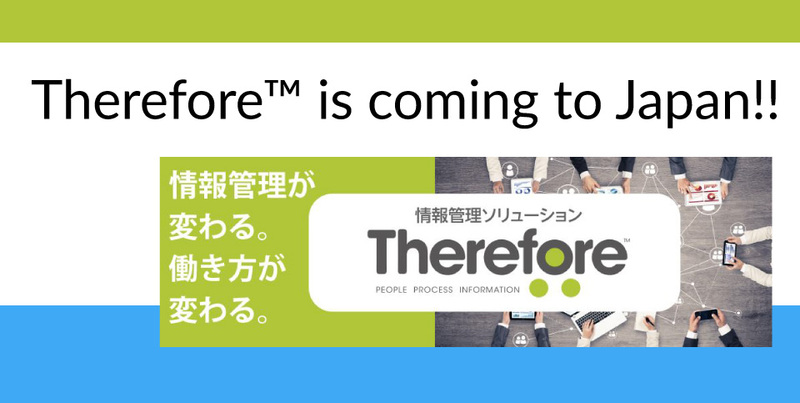 Therefore™ is coming to Japan! In their 22 January press release, Canon Marketing Japan announced the upcoming launch of Therefore™ and Therefore™ Online into the Japanese market! We at Therefore Corp would like to congratulate CMJ on their hard work and dedication, which has made this launch possible. For those of you interested in brushing up on your Japanese, check out CMJ’s new Therefore™ webpage! Great work, CMJ! We look forward to continuing our partnership to bring the best information management solutions to Japanese business!